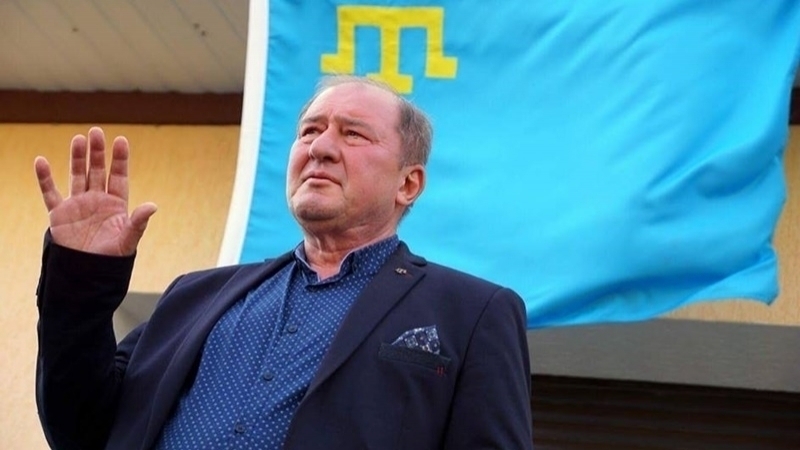 Ilmi Umerov, Deputy Chairman of the Mejlis of the Crimean Tatar people, wrote a letter to an illegally detained and arrested in Russia Ukrainian journalist Roman Suschenko, in which he emphasized the fabrication of their criminal cases by the Russian regime and the love of two patriots for Ukraine. "It's been a year since you were imprisoned for far-fetched accusations. The trumped-up cases is not the only thing we have in common, which is more important, we have the same love for the Motherland and the same rightness ... We will soon meet in free Ukraine," Ilmi Umerov wrote in reply to the letter that Roman Suschenko had sent him earlier. On September 28, Ukrainian political prisoner in the Russian Federation journalist Roman Suschenko illegally detained and arrested in Russia, serving his sentence in the Kremlin prison Lefortovo, wrote his words of support to Ilmi Umerov, Deputy Chairman of the Mejlis of the Crimean Tatar people who was illegally convicted in the occupied Crimea.